They’re gearing up for a battle that will extend to the legislative branch and the courts. Obama is expected to announce his unilateral plans to work around Congress to rein in gun sales and “make our communities safer,” according to a White House statement that appears to borrow the exact talking points of Michael Bloomberg’s Every Town For Gun Safety. He plans to deliver remarks at 11:40 a.m. EST Tuesday from the East Room. The president also plans to pitch his ideas at a nationally televised town hall Thursday with Anderson Cooper on CNN. As WND reported, Frank Miniter, author of “The Future of the Gun,” has warned that mandatory smart-gun technology could make every existing gun in the U.S. illegal. Obama plans to expand the definition of a licensed gun dealer to include anyone who sells firearms at gun shows and online. 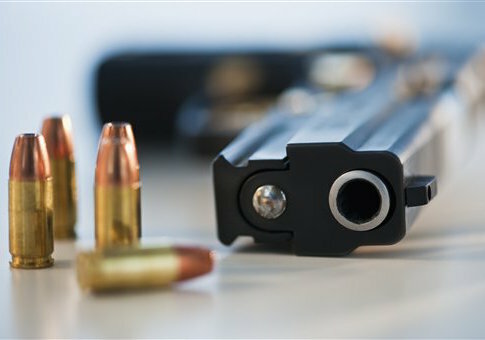 He argues the move will close a purported “legal loophole” that lets gun buyers bypass background checks by purchasing firearms through trusts and corporations. Legal barriers will be removed so states can share information on Americans disqualified from gun ownership due to mental health reasons. The FBI will hire more than 230 new examiners to process background checks 24 hours a day, seven days a week. Obama plans to ask Congress to authorize $500 million to fund increased access to mental health care. But if Obama acts without Congress’ approval to expand background checks to person-to-person gun transfers among fellow gun enthusiasts, he will in effect be laying the foundation for a national gun registry, critics say. And they’re preparing to push back hard against any such measures. “If you think Obama is going to stop now, you are badly mistaken. This is only the beginning,” Alan Gottlieb, executive vice president of the Second Amendment Foundation, told WND. Gottlieb said if Obama follows through with this assault, he should expect SAF and other groups to mount a vigorous legal challenge. “We intend to bring a lawsuit against to the Obama administration if he follows through on his executive orders and regulations against our constitutional and civil rights,” Gottlieb said. Rep. Dave Brat, R-Va., said Republicans in Congress will attempt to cut funding for any executive orders on gun control, but the legislative body has already given up much of its leverage by passing the omnibus budget bill just before Christmas. via Obama executive actions on guns coming Tuesday. As President Obama and top Democrats push again for widespread gun control in the wake of Wednesday’s mass shooting in San Bernardino, California, statistics suggest that the push will only serve to increase the number of guns being bought – with gun store owners telling FoxNews.com that business is booming. “We are so busy right now that I don’t know if I’m coming or going,” Derrick Meyers of River City Firearms in Louisville, Ky. told FoxNews.com. The surge in demand for guns comes not only due to the fear that arises after a mass shooting, owners say, but amid a fresh push for gun control from mainly Democratic politicians at local and national levels. On Thursday, in the wake of the San Bernardino shooting, Obama called again on legislatures to pass legislation to make it harder for violent individuals to get a hold of weapons. White House Press Secretary Josh Earnest said Friday that there is a way to pass gun control that doesn’t infringe on the rights of law-abiding Americans. But Second Amendment advocates and Republican politicians aren’t convinced. Apparently, neither are a number of Americans, who appear to be buying up guns at record levels. While there is no official data on gun sales, numbers on the FBI’s National Instant Criminal Background Check System (NICS) can be used as an indicator of an increase or decrease in sales – although a one-to-one correlation cannot be made between a background check and a sale. The anecdotal evidence from store owners is backed up by the figures, which suggest recent mass shootings are followed by a strong push for gun control measures, the demand for guns spikes dramatically. There have been 19.82 million checks so far through November this year, and it is on pace to break the record. Black Friday saw the most background checks — 185,345 — in a single day. While Black Friday frequently sees a high number of checks, this year’s Black Friday was unique in that it came in the wake of the terror attacks in Paris, and less than two months after the Oct. 1 shooting at Umpqua Community College in Oregon, after which President Obama angrily called again for stricter restrictions on gun access. “We do see increases after these kinds of events that cause people to be concerned about their own safety or because they fear legislation may pass either on a state or federal level that may limit their future access to firearms or ammunition,” Mike Bazinet, a spokesman for the National Shooting Sports Foundation, told FoxNews.com. The most significant increase in background checks came after the Dec. 14, 2012 shooting at Sandy Hook Elementary School in Newtown, Connecticut, in which 20 children and six adults were killed. In the emotional aftermath of the shooting, the push for gun control measures was at its most aggressive and passionate. Four of the top 10 days for background checks were in the days post-Newtown, while the highest week for background checks on record was between December 17 and 23 2012, where 953,613 checks were conducted – the first recorded week following the massacre. That December finished with 2.78 million background checks – the most for any month on record. Meyers told FoxNews.com that during that time his normally significant stock almost ran out in his store. “If the media really starts pushing gun control again, it’ll just be unreal what’s going to happen,” Meyers said. The trend has been similar around other mass shootings that occured while President Obama was in office. After 13 people were killed in the Nov. 5, 2009 Fort Hood massacre, background checks rose 14.1 percent the next month. After the July 12, 2012 movie theater shooting in Aurora, Colorado, checks increased 17.3 percent to 1.53 million in August, which was at the time by far the highest August on record. Yet this was not always the case. After the 2007 Virginia Tech shooting in Blacksburg Va,, in which gunman Seung-Hui Cho killed 32 people, background checks decreased 13.8% from the previous month, and would drop three consecutive months after the shooting. After the Columbine shooting in 1999, background checks also decreased from the previous month, with the shooting apparently having no effect on background checks. Gun store owners say the key to why recent shootings have boosted gun buying is due to the accompanying push for gun control. “It depends on how much they’re all screaming about gun control,” Wiley said, adding that when politicians push Second Amendment restrictions, business can double or even triple. However, Meyers said that he believes that right now, fear is the driving factor. are scared,” he said, but added that a push for gun control is also a key factor. As calls for gun control increase, however, the environment may sour for the gun industry. Democrats are increasingly vocal in their calls for stricter gun control, with President Obama staying focused on the issue and Democratic presidential candidates Hillary Clinton, Sen. Bernie Sanders and Martin O’Malley united on the need for more gun control measures. Polls show that the increased anti-gun rhetoric is having at least a slight effect on public attitudes toward guns. An October Gallup poll found that 55 percent of Americans want stricter gun laws, up from 44 percent in October 2009 – the year President Obama took office. However, a September Quinnipiac poll found that only 45 percent of voters support stricter gun laws. Other polls consistently show widespread support, as high as 93 percent, for a federal law requiring universal background checks on all potential gun owners. While the industry may be seeing a short-term spike in sales, owners and industry advocates fear that in the long-term this could have costs for business. Mike Flick, owner of Crosshairs USA in Torrance, Calif. told FoxNews.com that already the level of regulations can make selling guns take a lot longer, and more expensive. “The amount of documentation we must maintain on file and have available at any time for state and federal regulators to inspect us, it’s laborious and tedious and you have to maintain it. That’s overhead and that’s cost. So when you add additional layers to that – I’m not saying all of it is a bad idea, some of it Is a good idea – but now in California it seems more punitive than about public safety,” Flick said. Other gun store owners in less regulated states shared Flick’s concern. Gun buys, applications likely to surge as pols push gun control laws | Fox News. Penn & Teller on Gun Control – YouTube. The Economist Asks: Will Bitcoin’s Blockchain Change The World? Legendary news publication “The Economist” has seen fit to not only acknowledge the innovations of Blockchain’s technology but produce a feature story on it for the current October 31 weekly edition. The cover story’s title is called, “The trust machine – How the technology behind bitcoin could change the world.” Here we go over some excerpts and the basic tenor of the piece. As you may already be aware, Bitcoin does not have a sterling reputation within the mainstream media, if that fact has alluded you to this point, The Economist makes sure you get that realization stated up front as fact within the story’s first sentence, which succinctly reads “Bitcoin has a bad reputation.” The online edition fails to reveal a name of an author for this story. This first sentence sets up the article with a short summary of why the generally negative reputation has been established, so far. By the middle of the second paragraph, it does not refute any issues with the public image Bitcoin. They seem to have little interest in disputing its validity, but they rush to the defense of the technological flavor-of-the-month, Bitcoin’s revolutionary Blockchain technology, whose impressive skip set is attracting venture capitalists and banking magnates like moths to a flame. An original point of view was the use of Napster as the progenitor, the guiding light, for all future peer-to-peer networks, be it Napster, Spotify or Bitcoin. The article covers the broad strokes of what a blockchain is and how it may help businesses become more efficient in a multitude of business fields, from banking to real estate registry in Honduras. A swing at Bitcoin, while catapulting “The Blockchain” is pretty much a prerequisite in such an editorial piece. It has some other facets of the interaction between the mainstream and the blockchain that I won’t spoil. The representation of how a major pillar of the mainstream media with 1,400,000 weekly readers covers a revolutionary technology like Bitcoin and its blockchain is worth a read. The piece is generally quite positive, if fairly predictable, but the idea of promoting the blockchain over Bitcoin reminds me of something my favorite Bitcoin guru Andreas Antonopoulos said. He said the following at a recent Wired Money Bitcoin education seminar in July that is quite salient, to put this in perspective. Reading The Economist piece is a good idea, as is watching the video of Andreas’ dissertation at Wired Money. Take in the arguments from both sides of the aisle, and make a decision on where your digital future is headed. Will you be much more educated listening to Andreas for twenty minutes over reading the referenced article for 7 minutes through the link above? Absolutely, but inquiring minds might want to know what the mainstream’s latest spin looks like in print, however short-sighted it may be. The Economist Asks: Will Bitcoin’s Blockchain Change The World?. The Federal Bureau of Investigation processed a record number of background checks in the month of October, indicating that gun sales were at an all time high for the sixth month in a row. The FBI’s National Instant Background Check System processed 1,976,759 firearms related checks in October. That is a 373,290 increase in checks over last year and a new record for the month. It also makes October the sixth consecutive month to see a record number of checks. Since every purchase of a new gun in the United States requires a background check the metric is considered a reliable proxy for how many overall gun sales there have been, even though the number does not represent a one to one calculation for gun sales. The federal government and most states do not require background checks on gun sales made between private parties. Additionally, some states request FBI background checks on their citizens who apply for gun carry permits. So far in 2015 the FBI has performed 17,584,346 firearms related checks. Currently, 2015 is on pace to beat 2013’s record 21,09,273 checks. Gun rights activists have pointed to Democrats’ calls for new gun control measures as one reason why gun sales have increased. Democratic frontrunner Hillary Clinton has said that the Supreme Court is wrong on the Second Amendment, that Australian style mandatory gun buybacks should be considered in the United States, and that she would implement new gun control through executive action. 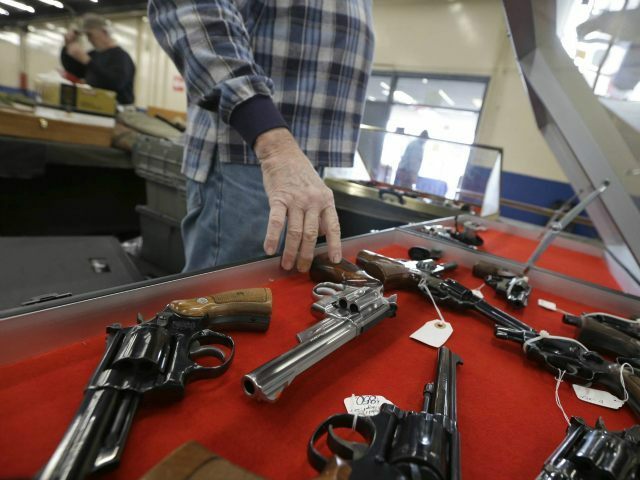 Gun Sales Set Record for Sixth Month in a Row – Washington Free Beacon. At the Collectors West gun show in Portland, Oregon, last weekend, business was brisk. The show opened its doors just two weeks after the shootings at Umpqua community college, three hours’ drive to the south. Tyler Drake – a tall, relentlessly friendly man in his 20s – was manning the booth for J&B Firearms Sales. He explained that after such shootings “we actually get super-busy”. The proximity of the shootings to Portland has only enhanced this effect. Distant massacres produce an uptick, too, but “this time we had a shooting in this state, so it went nuts”. Still, since the shootings, he’s seen people coming in to buy several weapons to outfit themselves and family members, or to provide for different scenarios. “People think: ‘I need to protect myself and my home,’” he says. And thus our conversation arrived quickly at the crucial sticking point in the debate about gun control. Whereas some see an AR-15 as a source of mortal peril, others see such weapons as a guarantee of safety, as well as a source of pleasure. And it’s only at a show like this that one can get a sense of how this translates into a broader, all-American “gun culture”. The show filled a cavernous room at the Portland expo center. Thousands upon thousands of handguns, shotguns, rifles and assault weapons were arrayed for inspection and sale on tables rented by exhibitors, some of whom were gun stores or manufacturers, and some of whom were part-timers only selling at shows and online. But it wasn’t just weapons on offer. There are whole parallel industries offering accessories, literature and pro-gun ephemera. Alicia Brincat’s Twelve-Six Company makes leather handbags with an interior holster so that women can more effectively carry concealed handguns. She got the idea after noticing that in warmer months, women’s clothing does not allow guns to be effectively hidden. “For women, the problem is that holsters are a great way to carry, but a lot of women couldn’t hide a holster,” she explains. Then there’s Exotic Firearms, founded and run by buff and chatty ex-marine Ryan Fisher. He sells the Nemesis 37mm projectile launcher, which can be affixed to a simple stock or to the rack on a range of rifle platforms. “It’s a flare launcher,” he explains. “It’s legally defined by the ATF as a signalling device.” Using it with anti-personnel projectiles would require modification and the sourcing of ammunition, which is not exactly easy to come by. Fisher sells the launchers with bundles of flares and fireworks, and insists that the main purpose is amusement. Still, when it’s affixed to a gun it looks like the kind of thing that has launched a million grenades in a thousand action films and first-person shooters, which is presumably a major source of its appeal. Of course, one can’t have a gun without ammo, the manufacture of which is the principal concern of Nate Niece’s Red Skull Ammo, another one-person local operation. He makes ammo at home under federal license, and also sources it for resale from other small manufacturers. There were big shortages around the election of Barack Obama. In the coming political year, “if Hillary Clinton is the frontrunner, it will go insane, business will go through the roof”, he says. And herein lies one of the other paradoxes of gun control: even raising it as a prospect represents a sales opportunity, a stimulus to demand for a sprawling industry that includes both multinationals and mom-and-pop operations. Gun control activists like Penny Okamoto from Ceasefire Oregon are acutely aware of the way the industry turns aspects of the debate to its advantage. Over the phone she speaks with calm purpose, and a surprising level of optimism, about a problem that many consider intractable. Unlike in much of the rest of the country, Oregon demands full background checks at gun shows; all vendors at the Collectors West show had to ensure that their customers were neither felons nor suffered from a mental illness. Implementing this nationally is a key part of the proposals brought forward by Democrats including Oregon senator Jeff Merkely in the wake of the Umpqua shootings. In the unlikely event that Congress passes something like this soon, a large, thriving gun industry and gun culture would still exist. And it’s by no means certain that people such as the Umpqua shooter would fail a background check. So when deadly weapons are so easily accessible in one of the most liberal states in the country, what hope is there for bringing gun violence under control? Okamoto is pragmatic on this point. She says that Oregon’s background checks have prevented sales to dangerous people, and have therefore undoubtedly saved lives. For her, “gun violence is like cancer. Not all cancers are the same, and you need different medications for different kinds.” This means making hard choices about what can realistically be addressed in any given political moment. Despite the stark differences between Americans over what guns mean, she thinks that we will get there: “People don’t realise how much gun owners have in common with non-gun owners. Two-thirds of Americans believe we should ban assault rifles.” She talks about responsible gun ownership in a way that chimes with the self-perception of many people who attend shows like the one in Portland. Despite the industry’s size and despite gun culture’s resilience, Oregon’s own measures, such as background checks, show that change is possible – and that more is needed. “We don’t have to lose 30,000 people every year to gun violence,” Okamoto says. She believes that more people, including those who attend gun shows, are coming around to the same view. ‘We had a shooting, so it went nuts’: business is booming at Oregon gun show | US news | The Guardian. This will never, ever happen. Long before they can achieved their goal, America will be convulsed with its third bloody civil war. And who will be responsible for that war? Obama, the Clintons, and the racists — folks like Eric Holder — they have brought into the national government to destroy the nation’s liberty and history and to build a tyranny. The terms “turning point” or “sea change” are misused so often in these days that they have become nearly meaningless. But the effective negation of the 2nd Amendment via the use of the rank tyranny of executive power by either Obama or Hillary Clinton — if she can serve as president from jail — may just be the break point. Quite simply, only a well-armed citizenry can install the mandatory caution, worry, and fear for their lives in the governing elite, men and women who seem to want other Americans not as equals and countrymen, but as laboratory animals on which they can conduct their social, medical, economic, educational, and multicultural experiments. 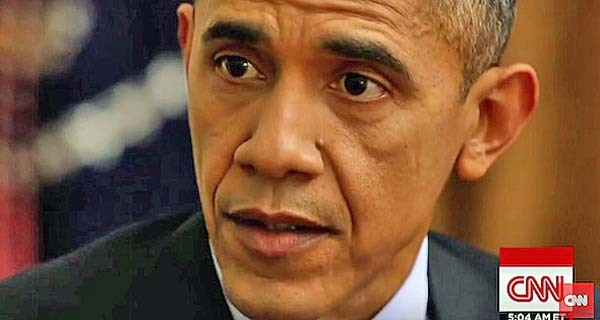 Mr. Obama, you and your party are precisely why the 2nd Amendment exists | Non-Intervention.com. Yet amid all this opposition to more gun laws, the poll clearly indicated that Americans have yet to grasp that background checks are gun control’s Trojan Horse. The Quinnipiac poll shows Republicans reject more gun control by a margin of 73 percent to 23 percent and Independents reject it by a margin of 49 percent to 45 percent. And when demographics were viewed along racial lines, whites opposed more gun control by a margin of 52 percent to 43 percent, while blacks and Hispanics kept with previous polls and supported gun control. But any congruent line of thought ended when Quinnipiac asked about “requiring background checks for all gun buyers.” At that point, 90 percent of the Republicans who were overwhelmingly opposed to gun control said they supported such checks, 92 of Independents also supported the checks, as did 93 percent of whites. This is proof positive that many American voters who staunchly oppose gun control have not yet come to understand that expanded background checks are gun control’s Trojan Horse. When gun control advocates like Sen. Joe Manchin (D-WV), Governor Terry McAuliffe (D), or Gabby Giffords and Mark Kelly call for expanding background checks, they are saying that private gun sales out to be outlawed and that every gun sale—retail or private—should be required to take place under the oversight of the government. Giffords and Kelly are fond of telling Americans that this will make us safer, while Manchin and McAuliffe tell us it is just “common sense.” Ironically, none of these gun control advocates tell us the most important thing—namely, that background checks do not prevent public attackers from acquiring guns with which to kills innocents. Perhaps the greatest bit of overlooked hypocrisy in the background check push is the fact that Gabby Giffords’s attacker—Jared Loughner—passed a background check for the very gun he used to attack her. Another example of hypocrisy on this issue was Governor McAuliffe’s call for background check legislation after Vester Lee Flangan shot and killed a television reporter and cameraman on air on August 26. The hypocrisy in McAuliffe’s actions rested in the fact that Flanagan passed a background check for the gun he used to commit his heinous crime. But the greatest example of hypocrisy to date regarding background checks came from Senator Manchin, who traded his pro-gun campaign promises for the approval of President Obama and Michael Bloomberg in the wake of the attack on Sandy Hook Elementary. Manchin pushed expanded background checks as a remedy to the heinous attack. He touted them at press conferences, on Sunday morning news shows, and during weekly appearances on various cable networks. Then, just three days before the Senate vote on expanding background checks was to be held, Manchin admitted that his background check bill would not have stopped the Sandy Hook tragedy from happening. And this gets to the root of what the American voter needs to understand. Background checks to not deliver on promises made when they were implemented for retail sales, so there is no rational reason to believe expanding the number of checks that take place will make any difference. What such expansion will do is further the progress of the gun control advocates by providing them with a cornerstone around which they can build and upon which they can erect more and more gun controls by assuring us that a little tweaking here and a little tinkering there is necessary to make expanded background checks work just right. One of these tweaks will be a national gun registry. Breitbart News previously reported that such a registry is necessary to the enforcement of expanded background checks. Without it, how can the government know who is selling a gun and when or to whom? Other possible tweaks could be limits on the number of guns Americans are allowed to buy within a given time frame. One gun per month limits have been popular with progressive governors and legislatures throughout history. And gun storage laws with unannounced police visits to verify how every gun registered is being stored would be a very logical tweak once gun control enters American life via the Trojan Horse that is background checks. The American voter has to be lucid enough to understand that when people are pushing background checks based on crimes committed by people that passed background checks—Flanagan’s attack in Virginia, Loughner’s attack on Gabby Giffords—then background checks might not really be the end goal. The goal might actually be something larger, something which cannot be accomplished without first getting a foot in the door via background checks. Poll: Americans Don’t Understand Background Checks Are Gun Control’s Trojan Horse – Breitbart.